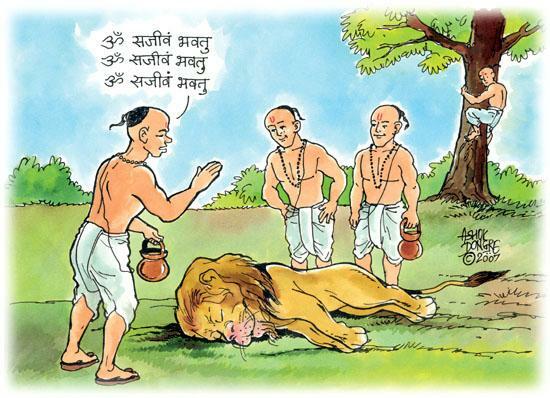 Char Dost Aur Sher (Dost-Sher) is a story from Panchatantra involving 4 friends and a lion. Three of the four friends try to use their knowledge in the wrong place and in the process bring a dead lion back to life. The fourth friend warns them not to do so but they disregard his advise. The lion on getting alive again kills the three friends. The fourth friend uses his common sense and climbs a tree and saves his life. You can listen to the story of Char Dost aur Sher by clicking on the link below. Image Courtesy Blogspot. Music by Bensound. Story Narrated by Sheerali Biju.